The writers had a chance to cash up on the character and use him properly. An actor like Neal Mcdonough could even make him iconic to the likes of Deathstroke. But Damian Darhk was quiet under-utilized. Apart from that, other plot points were quite off sometimes. Even producers have seemingly realized this and are going to mend their ways. Talking about the fourth installment of “Arrow”, the show ended with Oliver killing Damian Darhk. Only Oliver and Felicity were left in the team as Thea and John took a break and left Star City. No new developments were shown in the show. In a recent interview, Stephen Amell (Oliver Queen) has let us know about a lot of things that are set to take place in the fifth season of the show. Laurel’s final words to Oliver, in which she made Oliver promise something would be revealed. They were never revealed that time. In the flashbacks, we’d get to see how Oliver made friends with the Russians and how he got into Bratva. A four-way crossover of “Arrow”, “The Flash”, “Legends of Tomorrow” and “Supergirl” will take place. The story would become more focused to the problems of Star City. Arrow would get a new, modified suit and John Diggle would get a new helmet. Evelyn Sharp would return as Artemis. A character which wasn’t seen in the show since the last two seasons would return. The premiere episode of the fifth installment would feature the most violent fight in show’s history. A new crime fighter named “Wild Dog” would appear whom Arrow would later take under his wing. A character named Tobius Church would probably be the main villain of this installment. Curtis would become a part of Team Arrow and would follow a more Cisco-like approach in the show. He would make the tech for Team Arrow now. Many things are yet to be known and to be made certain since our very own Barry Allen has royally screwed up the timeline. We still don’t know if that’s going to affect “Arrow”. Arrow season 5 returns on October 5 this year on the CW with its regular air time. Keep waiting for more info. 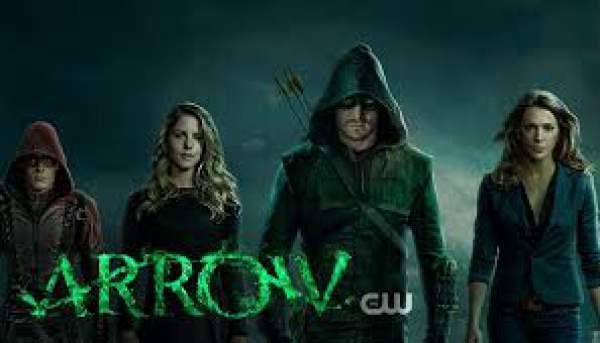 Stay tuned to The Reporter Times for latest Arrow news and other TV series updates.